Apple’s iPhone X is a wonderful phone. If you’ve managed to snag one, it may take you some time to get used to the design. Have no fear — we’ve got helpful iPhone X tips and tricks so you can get the most out of your new iPhone. Once you’ve gotten the hang of it, brush up on your iOS 12 skills, find a case to protect that fragile glass body, or pick up a wireless charging pad. For those switching from an older iPhone to the iPhone X, you’ll notice the battery percentage is no longer shown at the top of the display. 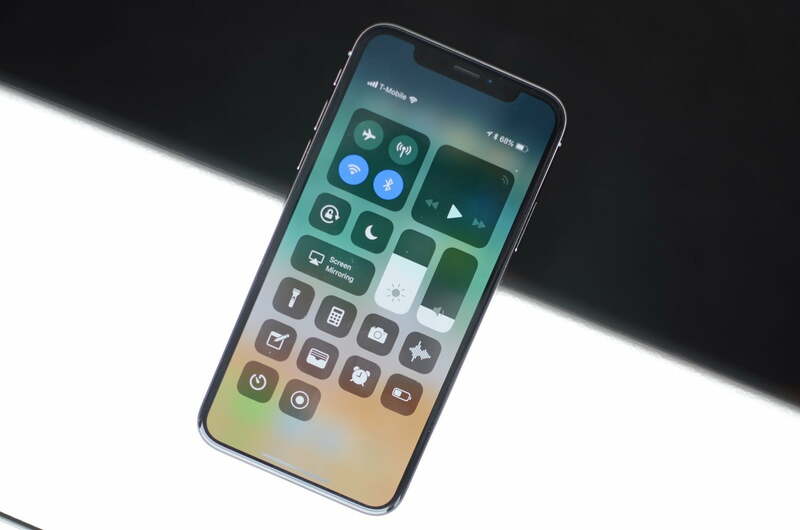 While you can’t set it so that it’s shown on the home screen, you can see it by swiping down on the right side of the notch where the Control Center is. 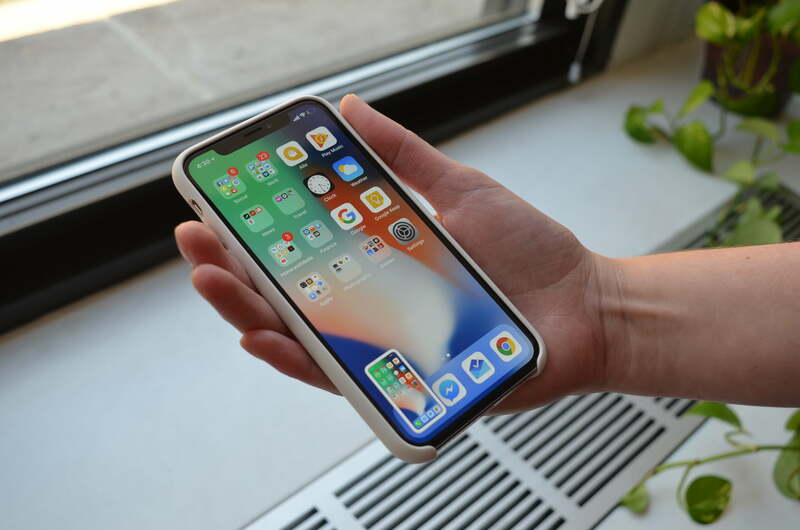 The iPhone X’s 5.8-inch display might make it hard for those with smaller hands to reach certain apps and content. Don’t worry because Apple’s reachability feature allows you to pull down app icons at the top of the screen so they’re within reach. Go to Settings > General > Accessibility > Reachability and toggle the feature on. To use reachability on an older model of the iPhone, like the iPhone 8 Plus, you have to tap the Home button twice. With the reachability feature on the iPhone X, you can access apps by swiping down on the horizontal bar at the bottom of the screen. To put them back in their normal place, swipe up about an inch above the bar or tap anywhere on the display. Prior to the iPhone X, the home button was how you would switch between apps, or go back to the home screen. With the iPhone X and later, if you want to view all the apps you have open while on the home screen, simply swipe up from the bottom edge of your device. This will bring you to the stack of apps that are currently running. It’s easy to force close apps on the iPhone X. All you have to do is swipe up from the bottom of the display, the same way you would to see which apps are open. Once you see the lineup, simply swipe left or right to choose and then swipe up on the specific app you’d like to close and it’ll disappear from the stack. 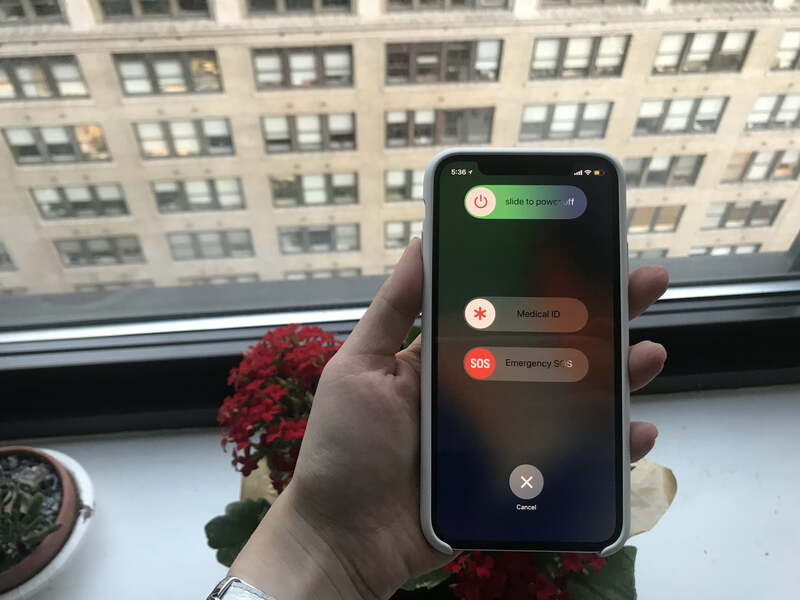 When you’re first setting up your iPhone X, you’ll get the option to turn on Face ID and go through the configuration process, just like Touch ID. It requires rotating your head twice so the TrueDepth camera can capture all your facial features. If you somehow skipped this step, you can head to Settings > Face ID and Passcode > Set up Face ID. You’ll have to let it scan your face again twice. Once done, all you need to do to unlock your iPhone X is swipe up the lock screen with your eyes open and you’ll see a padlock icon unlocking. Your iPhone X will not unlock if you do not make eye contact with the phone. On the right side of the iPhone X is an elongated power button — we’ve started to call it the “lock” button, because its primary use is no longer to turn off your phone. You can activate Siri by holding down the lock button on the right for a few seconds. The voice assistant will appear, ready to answer any questions or follow any commands. If you want to exit Siri, press the lock button again. The iPhone X was the first iPhone to forgo the home button, and getting used to it can be tough. If you’re really missing the home button, you can add one to the display with AssistiveTouch. That way, you can tap on the button to get back to the home screen rather than having to use the iPhone X gestures. To turn it on, go to Settings > Accessibility > AssistiveTouch and toggle it on. You’ll see a little circle appear at the bottom of the screen that you can move around anywhere you’d like. It’ll also automatically move around as you use the device in order to not get in the way of your content. When you tap on it, you’ll open up a menu that brings you to a variety of options like notifications, screenshot, lock screen, and more, but to get back home, simply tap on the circle again. 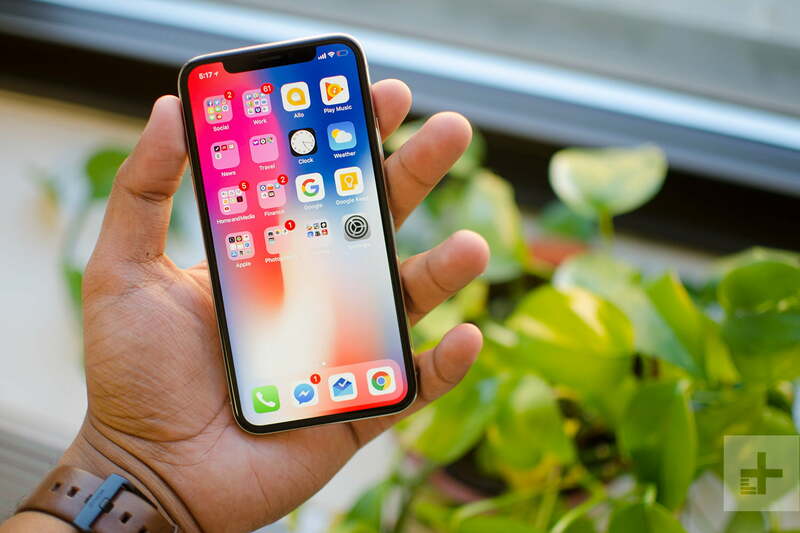 Taking a screenshot on the iPhone X might feel a little foreign without the home button present, especially because now it’s similar to taking a screenshot on an Android phone. All you need to do is press the lock and volume up button at the same time. Once it takes the screenshot, you’ll see it appear in the bottom left-hand corner of your screen. Tap it to mark up or edit your screenshot, and you can then delete it or save it to Photos. 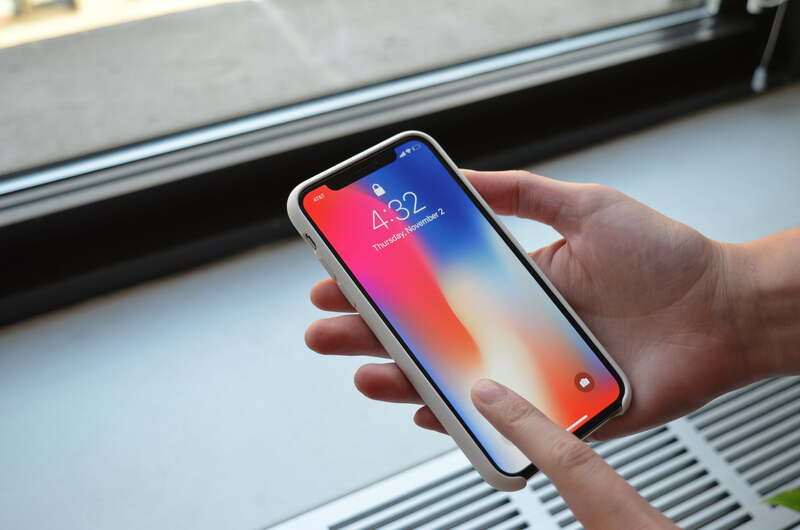 The iPhone X has a “notch,” which is the black space at the top of the phone housing the tech needed for Face ID. The screen flanks the notch, and the right side has a very specific function — it’s how you now bring down the Control Center. Simply swipe down from the top right, and down comes the Control Center. To access the Notification Center, swipe down on the left side or center of the top of the iPhone X. This will pull down your notifications page, which you can then swipe back up to bring you back to the home screen. In the Notification Center, you can still swipe left to access the camera, and swipe right to go to your Today widgets. To quickly get to Apple Pay on the iPhone X, double tap the lock button on the right edge of the phone. Your card will then appear and Face ID will automatically scan you to verify you’re the card owner. If you don’t want to use Face ID, there’s also the option to manually type in your pass code. You can turn your phone off by holding down either of the volume buttons and the lock button at the same time. At the top of the screen, you’ll see the “slide to power off” option. This is also how you can access Emergency SOS and Medical ID if you’re in a situation that requires emergency services. With the iPhone X, you can use Portrait Mode on both the rear- and front-facing camera. After opening the camera app, choose Portrait, and you’ll get a carousel of different Portrait Lighting options such as Natural Light, Studio Light, Contour Light, and more. Tap the rotate camera icon to switch to the front-facing camera for a professional-looking selfie. Normally, you’d use Touch ID to turn on the iPhone lock screen. 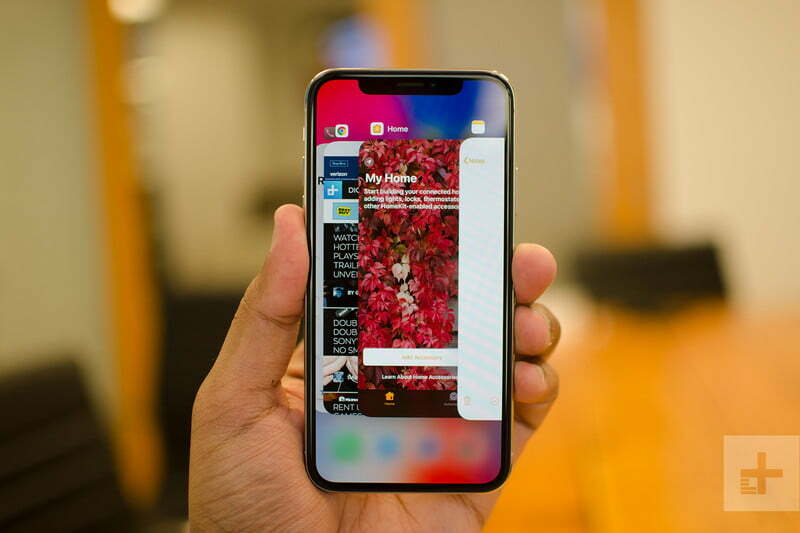 With the iPhone X, all you need to do is tap the display to turn on the screen. Whenever you lift up your iPhone X to your face, the screen will automatically wake up. This is called Raise to Wake, and it has been around for some time on iPhones. If you want to turn it off, head to Settings > Display & Brightness and toggle Raise to Wake on or off. Animojis are animated emojis you can send to any iOS or Android user. 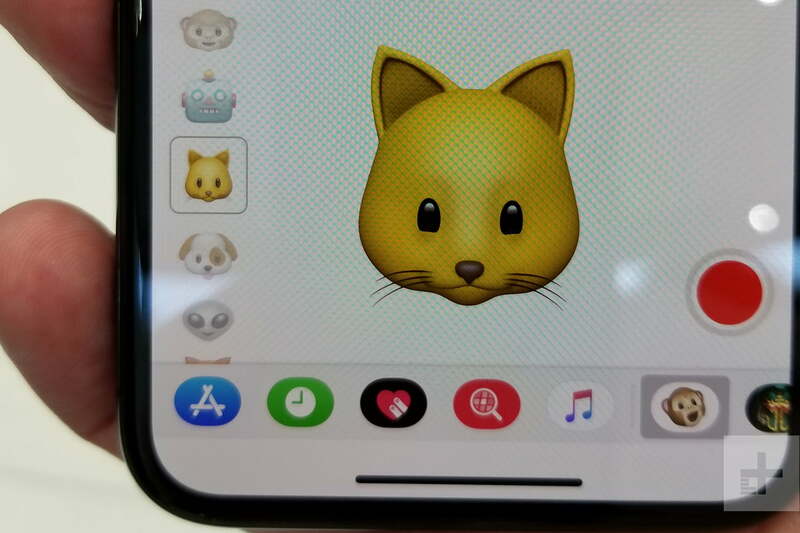 The emojis use the Face ID TrueDepth cameras to track your facial animations, kind of like motion capture used in films. To send one, head to the Messages app. Open a chat thread, and you’ll see a bar of apps at the bottom. Next to the App Store icon sits the monkey emoji — tap it. You’re now at the Animoji record screen. You can swipe it up to expand it to the whole screen. Choose your favorite emoji, and you’ll realize it’s already tracking your facial movements. Tap the red record button to capture a 10 second video (with audio) and send it to your friends. This will show up as a video file for people without an iPhone X. You may also want to check out how to make a Memoji, which Apple added in iOS 12.